I can’t believe how fast this year is whizzing by already! St. Patrick’s day is March 17th…so of course I needed to color up this little cutie! She is called Lucky Lulu, and is from Paper Nest Dolls. Such a lucky little girl she is!! The white circle behind her is embossed with a Swiss Dot embossing folder to give a little dimension. the ribbon is in two layers with the top layer folded forward to give the appearance of being looped. The dies are from My Favorite Things, La-La Land Crafts, and Cottage Cutz. The main background paper is digital paper I found on Etsy, the rest is from my stash. You can find many more cuties in the digital shop here or the rubber stamp store here. 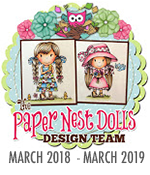 Squeeeee…I am so excited to share my creation for The Paper Nest Dolls which was showcased in issue 170 of Papercraft Essentials Magazine. This little cutie is called Ladybug Lulu and is from The Paper Nest Dolls. Dies are from La-La Land Crafts, Gummiapan, Spellbinders, Lawn Fawn, and My Favorite Things. The flowers are from I Am Roses. The sentiments were created in Microsoft Word. The paper is from two collections from Echo Park- Spring and Hello Spring. I’m not sure where everyone lives, but I am so over and done with all the snow we have been getting. There is lots more in the forecast and we have no where left to put it!! We have had the snowiest February on record…yikes. With that being said, I am trying to think of warmer days, and this little sweetie is sure helping that thought process. I chose Butterfly Princess Lulu for my DT creation for the Paper Nest Dolls today. She is so adorable and was so fun to watch come to life. She was printed on X-Press It Blending Card and was colored with the following Copic markers. The dies are from Cottage Cutz, La-La Land Crafts, and Magnolia. The flowers are from I AM Roses, and the paper is from my stash. 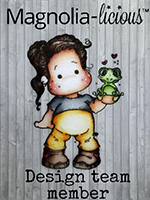 Today I am sharing with you my last guest design team post for Whimsy Stamps. I have really enjoyed playing with their super cute stamps and had a lot of fun creating with them. 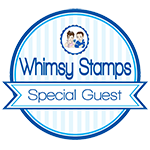 I thank Whimsy Stamps from the bottom of my heart for such a wonderful opportunity! For today’s creation I chose to work the super sweet “Hugs Bunny” clear stamp set. Who doesn’t love adorable bunnies and hugs! A Momma giving love to her little one…makes my heart smile! The sentiment circle was created with the Mermaid Scales Stencil and Distress Ink in Fossilized Amber. I am sharing a little sweetie from All Dressed Up Stamps today called Stars and Back. This one was a little challenge for me…I knew I couldn’t color exactly what I wanted for the night sky…lol! Once I found the perfect paper I knew she needed to be a shaker card. Dies are from Mama Elephant and La-Land Crafts. Paper is from my stash. As always, you can find an abundance of gorgeous inspiration images for sale here. Thanks for visiting today! 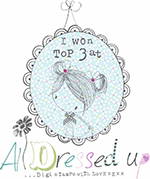 Remember to join in the fun and enter your All Dressed Up projects in the All Dressed Up Challenge Blog. We would love to see your creations. I am back today to share a sweet little fairy from Bugaboo Stamps called Ladybug Fairy. This little cutie is so adorable! Dies are from Magnolia, Spellbinders, and My Favorite Things. The paper, ribbon, and pearls are from my stash. There are many more cuties in the Bugaboo store here. I am back again today to share another creation as a guest designer for Whimsy Stamps, and just couldn’t resist this utterly adorable little bear called Maynard. The moment I saw this little cutie I knew I was going to create some kind of baby card with a shaker element! I stamped this little cutie with Copic friendly ink onto X-Press It Blending card, and then colored the image with Copic markers. This was such a fun little card to make! I used the Kinetic Straight Basics Die Set for the pretty little border, and the Shaker Maker Combo Die Set for the shaker element. The pretties inside the shaker are Sparkletz-Coral Coast. 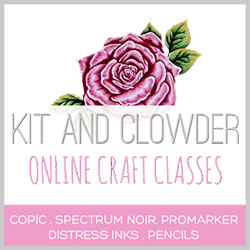 I am back today with another guest design team project for Whimsy Stamps. I must say…I am SO loving the gorgeous fairies!! I can’t get enough of the cuteness! For today’s project I used the gorgeous rubber stamp called Maya. Who can resist all that sweetness? Such a versatile image that could be used for just about any occasion. I stamped my image with Copic friendly black ink onto a sheet of X-Press It Blending card, and colored the image with Copic Sketch Markers. The sentiment is from the Just Dance Clear Stamp Set. The sentiment was arranged differently in the stamp set, so to make it work for this card I stamped it twice using a masking technique. The frame and the sentiment are popped up with foam tape. The die I used is from the Shaker Maker Combo die set. Paper is from Maja Designs. How cute is this little sweetie from All Dressed Up Stamps called Little Flower Fairy?! It’s so hard for me to choose an image to work with all the gorgeous options to choose from!! Since I have always adored this little cutie, I decided it was time to color her up for my DT project this month. So utterly and completely adorable! I printed this little cutie on X-Press It Blending card at a height of 3.5″ tall and then colored her with the following Copic markers. Dies are from My Favorite Things, Magnolia, and Kaisercraft. The paper is from my stash. I’m back today to share another guest design project for Whimsy Stamps. I have really enjoyed playing with their super cute stamps and had a lot of fun creating with them. For this card, I used the super adorable “Mazarine Butterfly Fairy” rubber cling stamp, and a sentiment from the “Bold Statements” clear stamp set. Something about Fairies and pink…for me they naturally go together, and it helps that she is such a sweet image to work with. The paper is from Kaisercraft – Part Time Collection and Echo Park – Hello Spring Collection. The flowers are from I Am Roses.